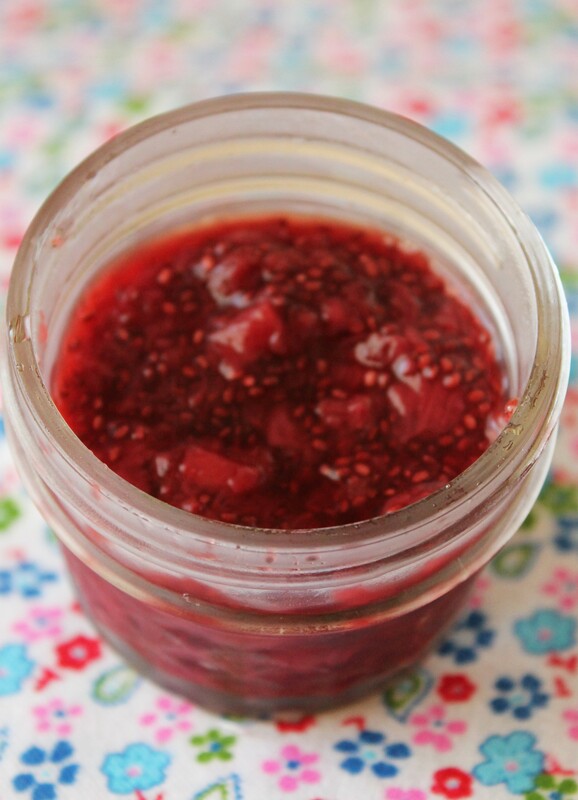 I have made strawberry jam in the crock-pot before. Using apple for the pectin to make it gel. For me that process it hit or miss, one time I used apples it set up fine the next time we ended up with strawberry syrup. 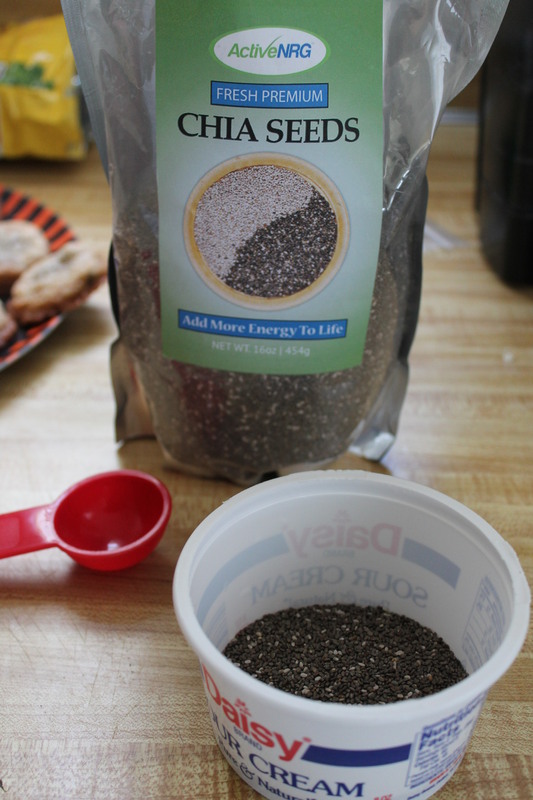 Then I got some Chia seeds to use as egg substitute in baking. 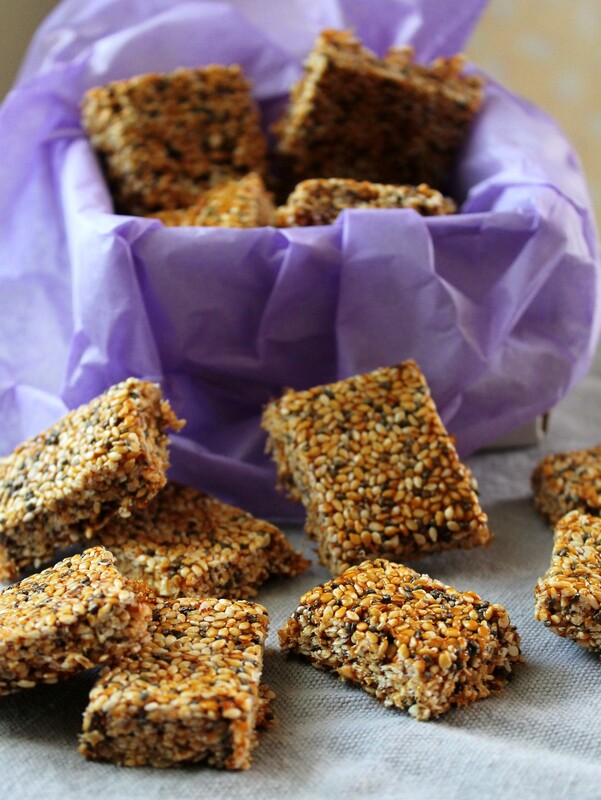 You mix 1 tablespoon Chia seeds in 3 tablespoon of water let it set for at least 15 minutes. The seeds absorb the water and you are left with this jello type mass to use in place of your egg. That got my dark mind racing, ideas began to form. I think there may have been evil plotting music playing in the background. Or that might have been in my head. I asked myself, can it work? 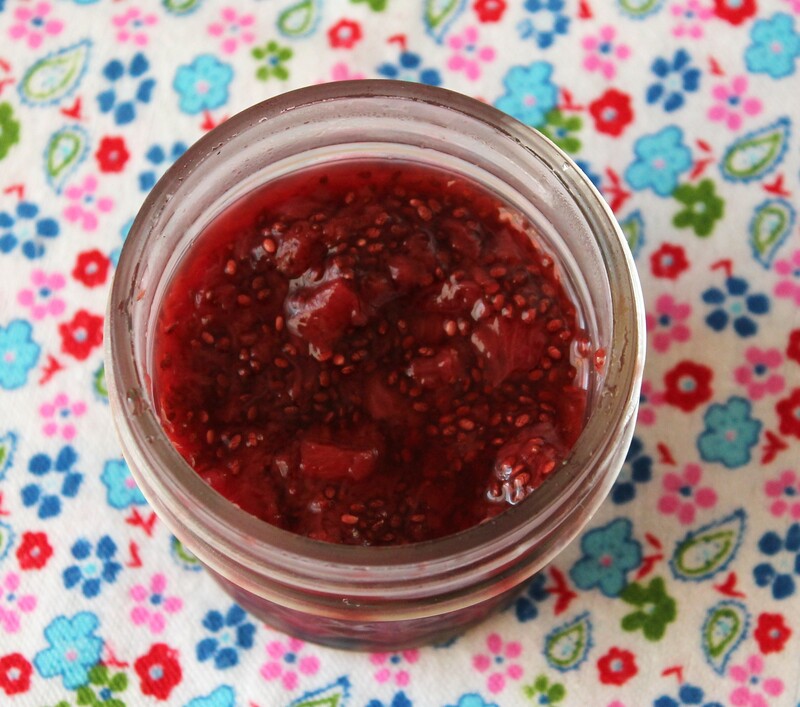 Will Chia seeds be the gel that holds my jam together? I went to Pinterest (I go there now before heading to Google) to search this out. 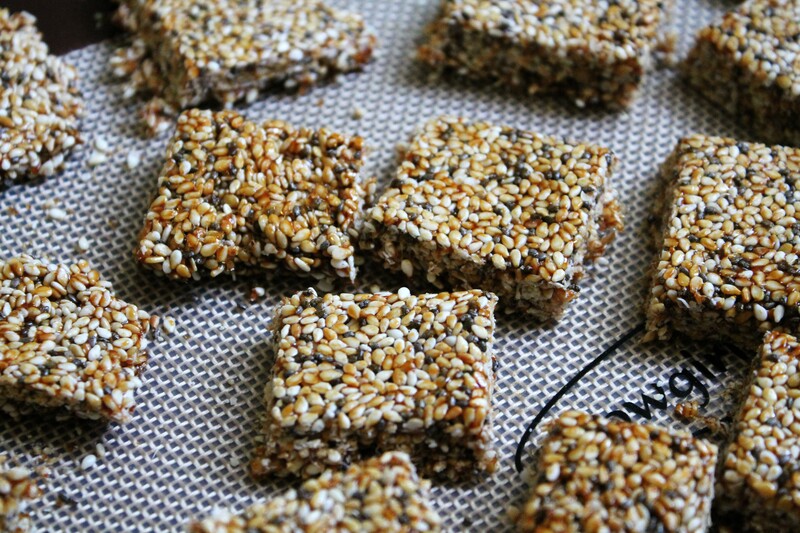 I discovered that yes, yes you can use Chia seeds. 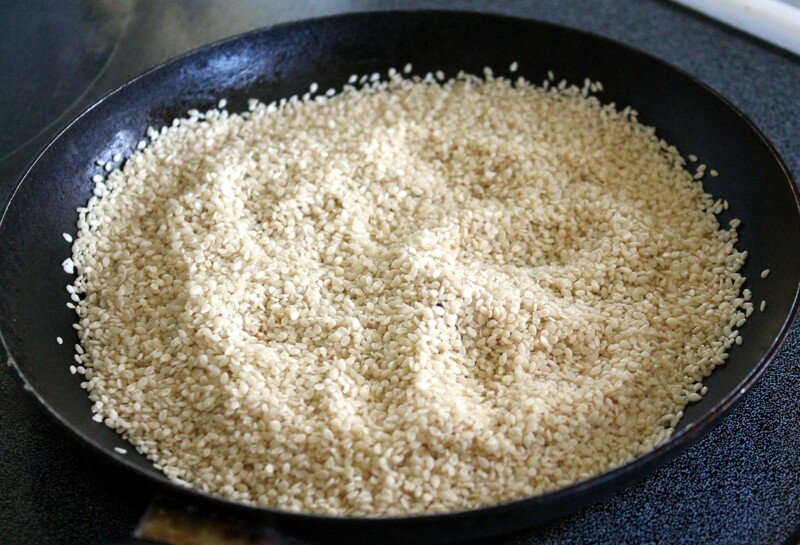 Once I discovered that golden gem of knowledge I began to form a recipe. I then tried that recipe out. Eureka! It worked! 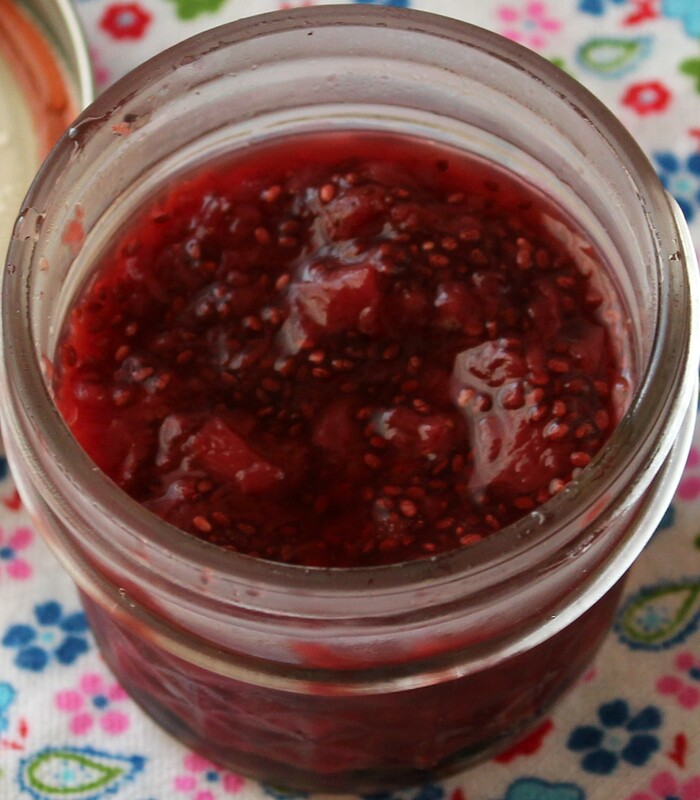 4 packets of Truvia (or 6 for a sweeter jam) You can also use granulated sugar. ½ cup. 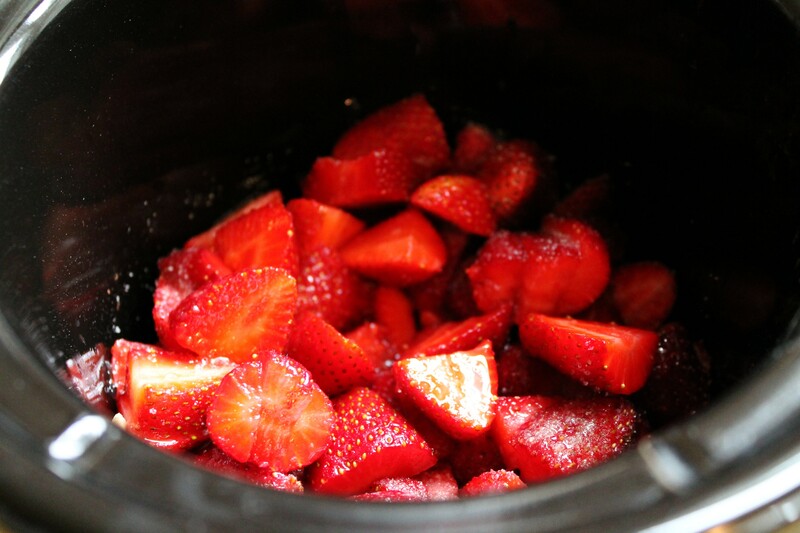 In the Crock-pot add berries, lemon and Truvia. Cover and cook on high for 1 hour. Stir and mash your mixture up some. Cover and cook 1 more hour. Stir. 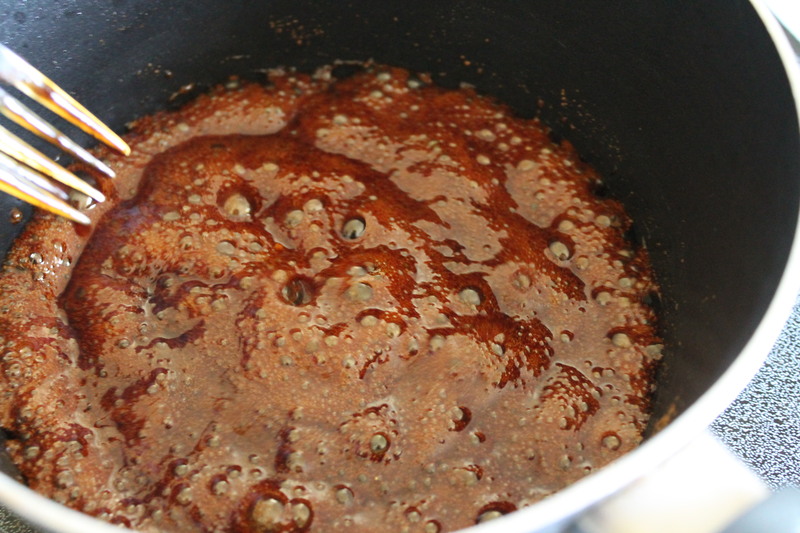 Cook uncovered for 2 hours or until the mixture thickens/reduces down some. 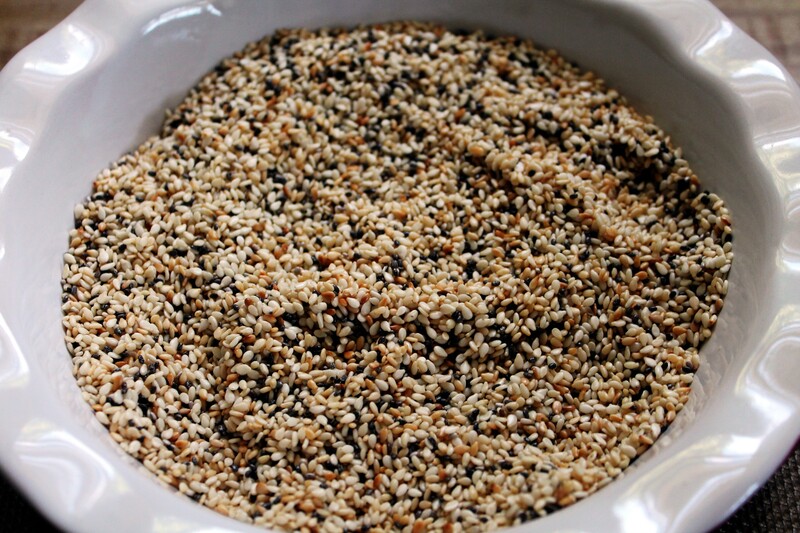 Stir in Chia seeds. Let set about 15 minutes. Then pour into your jars. Refrigerate and/or freeze. I wish I could tell you exactly how much this made but it seems the day I made it and before I could put all of it into jars the husband went on a PB&J kick. I did manage to fill two 4 oz. jars and one 8 oz container before he confiscated the rest. He ate a lot of PB&J over the following days. His only complaint… he would have liked it to be a little sweeter. Next time I make the jam I will use more sweetener. That was a month ago. I froze the 8 oz container of the jam. Today I thawed it out to see how well it held up. It was still great. Yes it is true I have a new love in my life. I have fallen for Chia seeds. 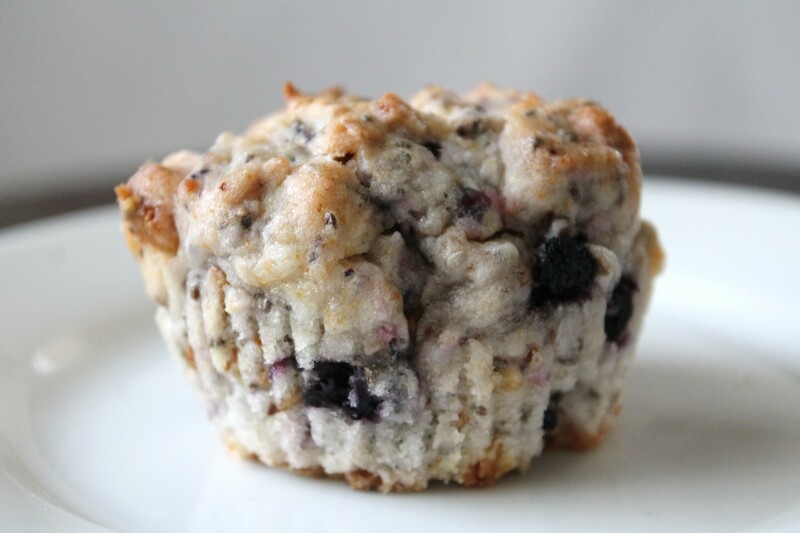 I use the Chia seeds to replace eggs in most of my baking recipes. This weekend I used them in my pancake mix. If you are wondering how Chia seeds affect the taste, they don’t. 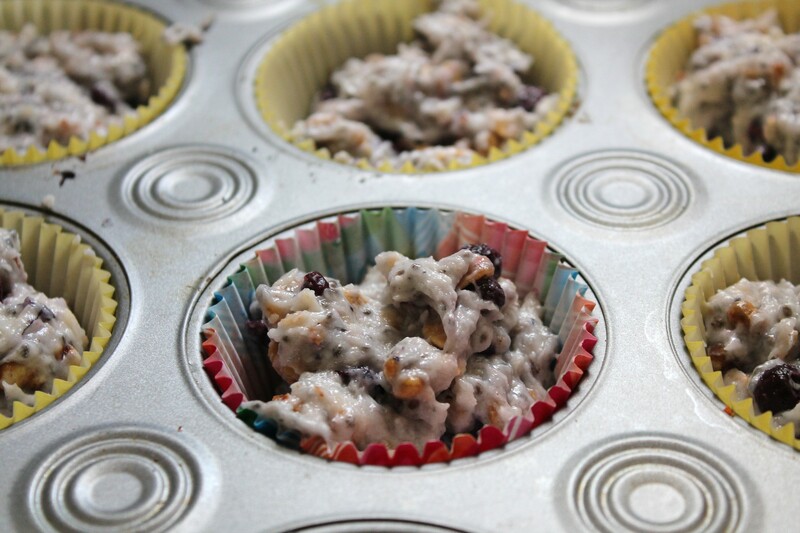 Your baked goods will still have the same great taste you are used to. The only thing I noticed different about my pancakes and this could be all in my head is the pancakes seem to soak up the syrup more than my usual pancakes. 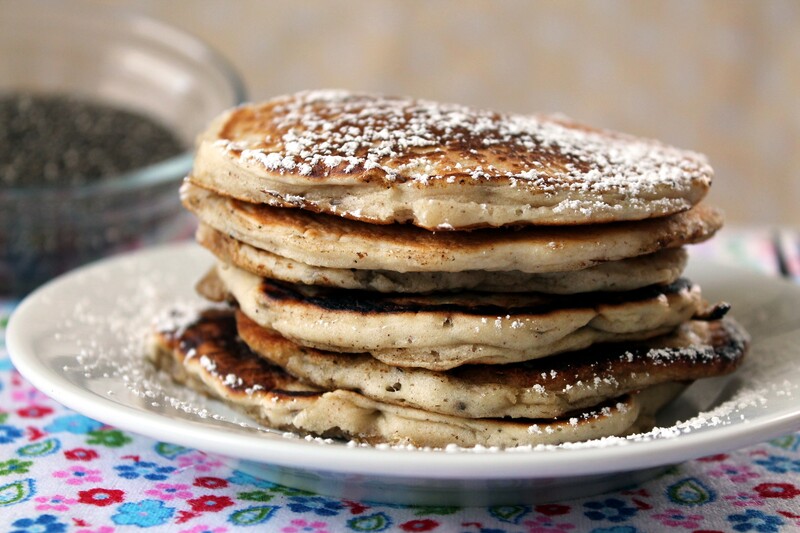 Still they are very tasty pancakes and more filling since Chia Seeds contain fiber. 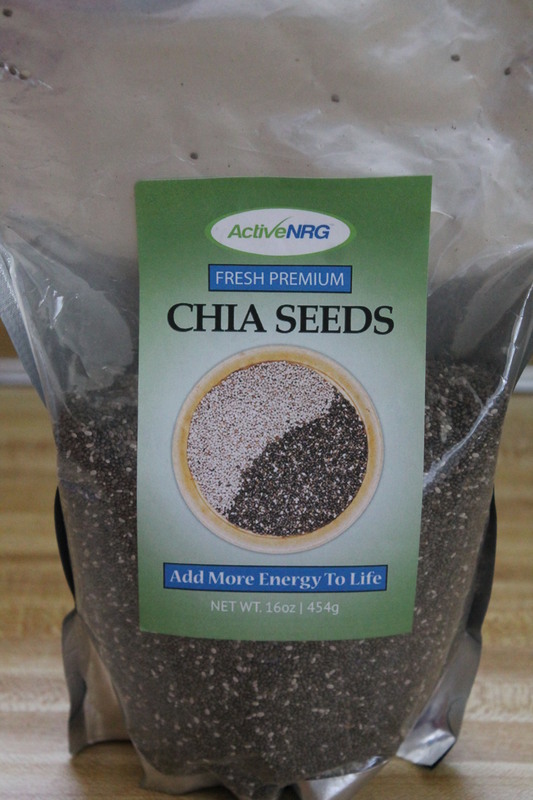 The Chia seeds I am using now I got from Amazon. My local Ingles carries them also. I think Wal-Mart may carry sell them. You will think they are pricey (I did at first) but I use them a lot. A LOT and I have only used have a bag. They go far. 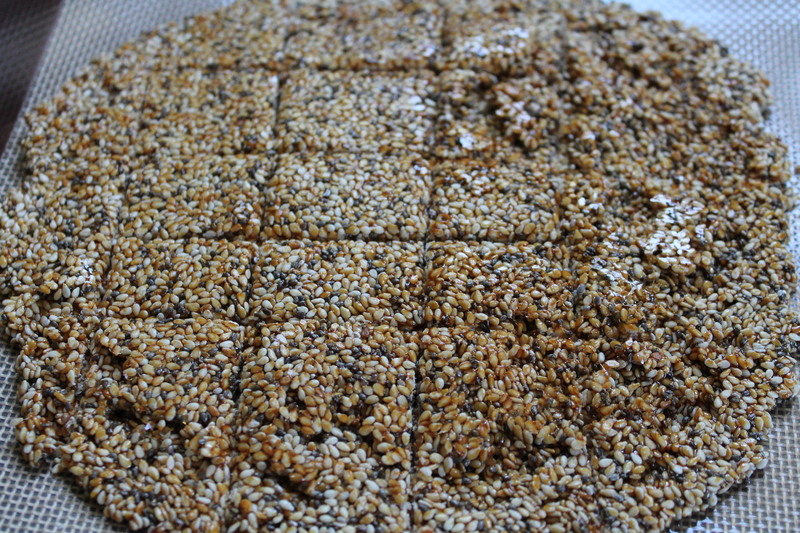 Mix in a small bowl, let set for 15 to 20 minutes for the seeds to absorb the water and gel. I like to call it Chia Goop. 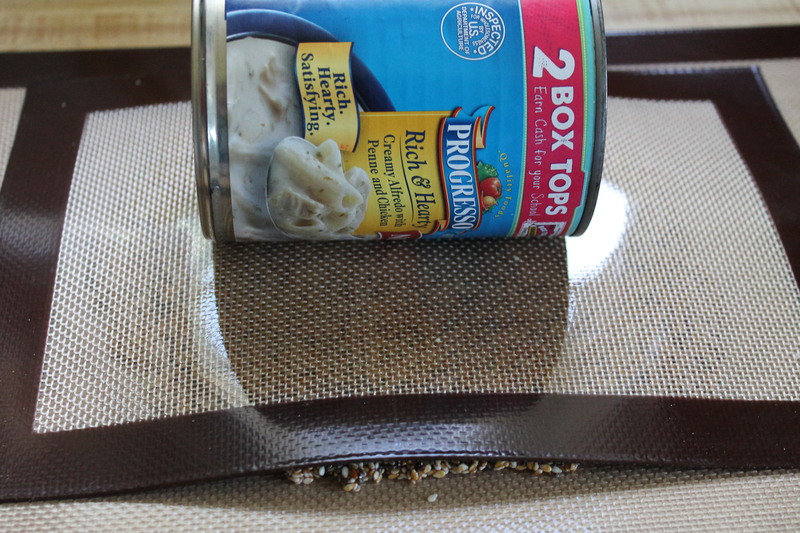 You can also make the goop ahead and store in fridge for up to a few days so it is ready when you are ready to bake. 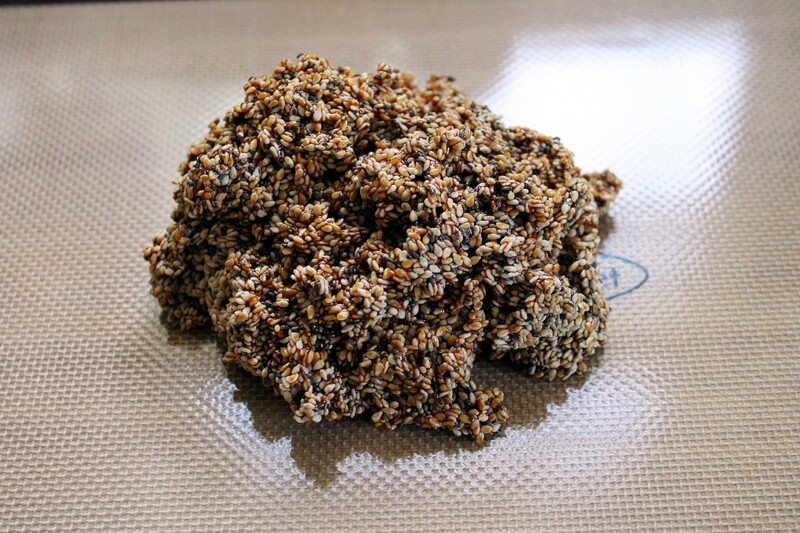 This is what the Chia seeds look like after they gel. 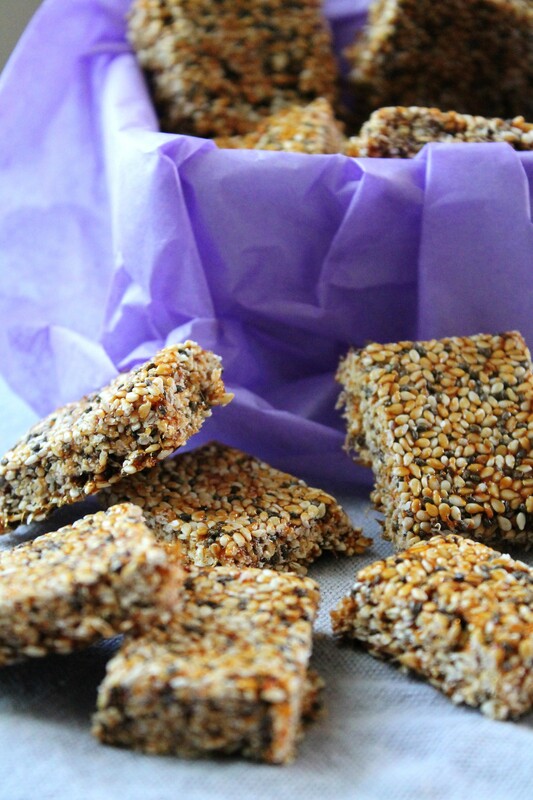 Even the complete mixes that don’t call for egg I still add the Chia seed goop. 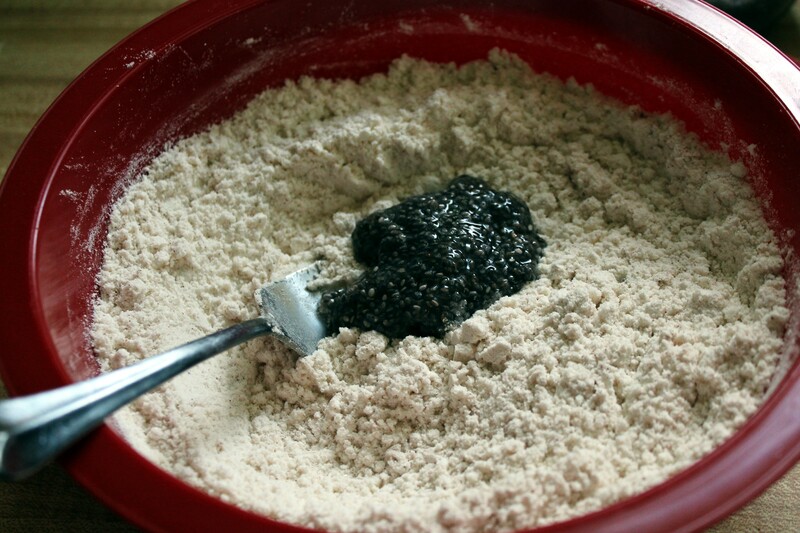 If you don’t want to use the Chia seed, still add an egg to the complete mixes. 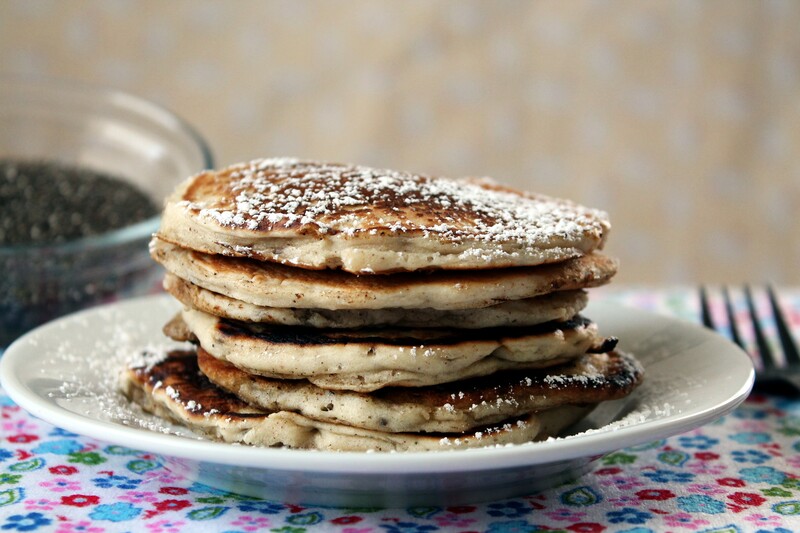 It just makes a better pancake batter. 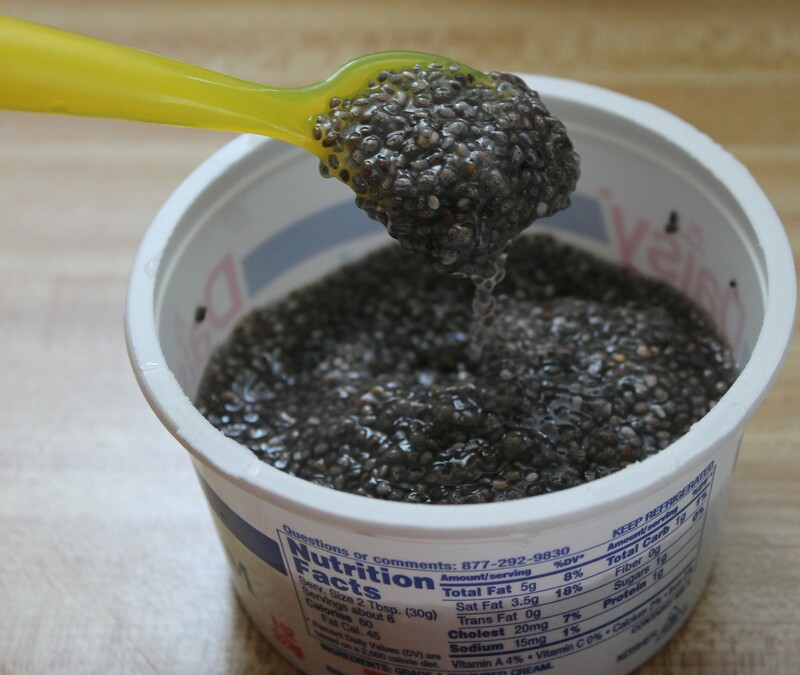 I had been wanting to try Chia seeds for awhile now. What was stopping me was the price. Thanks to my sister Dana and her extreme coupon ways I got a great deal on a bag of Chia seeds. 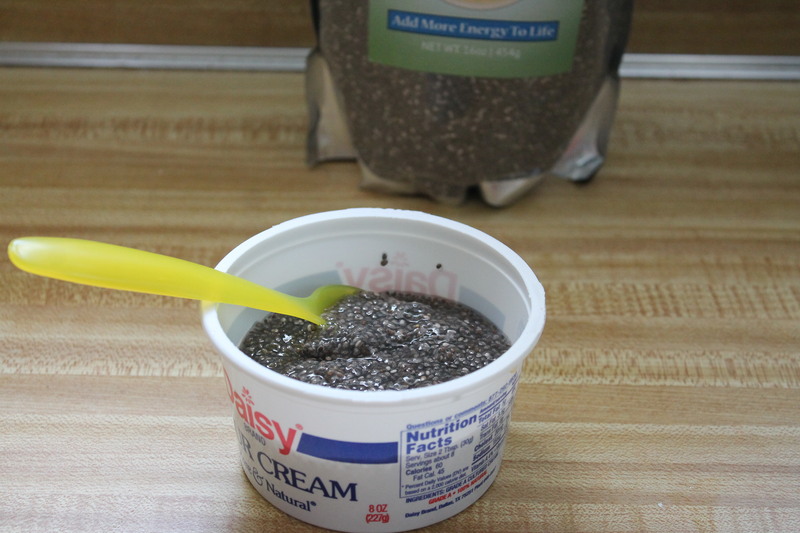 I went to Pinterest, of course, to find recipes using Chia seeds. I found a few I want to try. 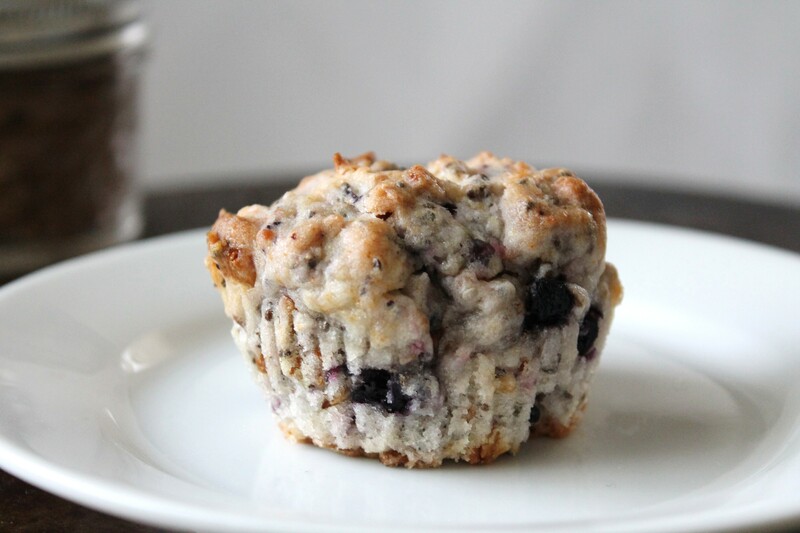 One pin that got my attention was how to use Chia seed to replace eggs in recipes. You can add water to the seeds wait a while and bam you have a Chia seed gel thing going on. This easy recipe will replace 1 egg. 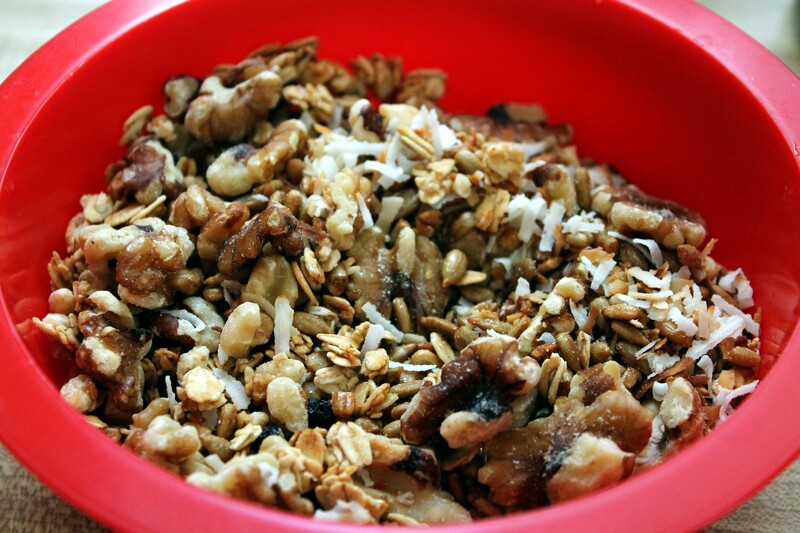 Mix in a small bowl. Set aside 15 minutes. My first bag of Chia seeds. Let the adventures begin. In my fancy bowl is 3 tbsp. of seeds. This will replace 3 eggs. Add 9 tbsp. of water. Let sit for 15 minutes. See the gel going on?